Dishy News - A Transferware Blog: REINDEER ON TRANSFERWARE? 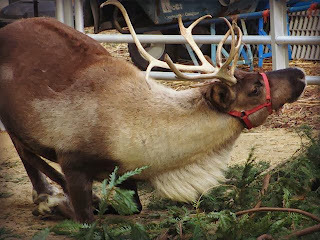 In a nod to the season, I thought I would write about reindeer. Actually, it was my sister Janet Rudolph, who blogs at Dying For Chocolate and Mystery Fanfare, who suggested it. She had just visited the reindeer at the California Academy Of Sciences in San Francisco, so she wondered if there were reindeer on transferware. 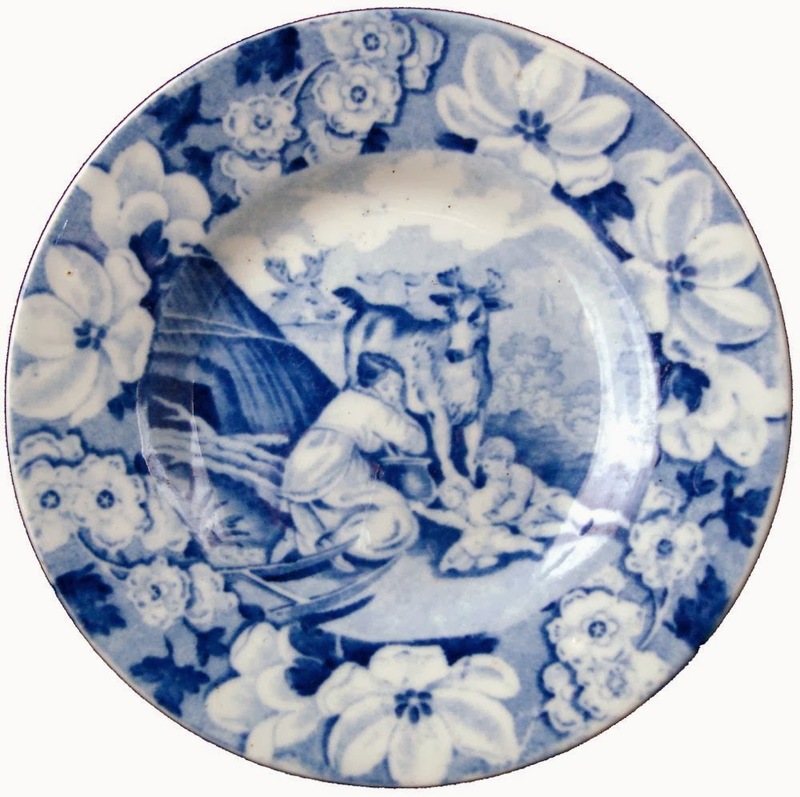 The Don Pottery (Green & Co) 1801-1839 made a reindeer pattern. A woman is milking a reindeer. The front of a sledge appears in the left corner of the plate. The pattern seems to be a rendering of a Lapland scene or Arctic scene (summer, of course). If you look carefully, you'll see two more reindeer in the background. The reindeer in the plate, however, didn't look the same as the reindeer at the Academy. The horns were quite different. I did a bit of googling and found the Norwegian reindeer with velvet horns (actually horns covered with fur). Although they look wild and share many physical characteristics with their wild cousins, reindeer are often domesticated animals. 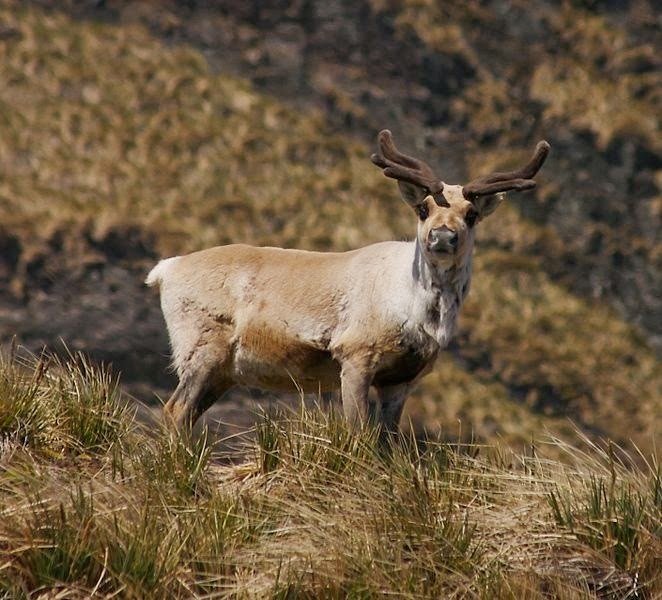 Members of a species (Rangifer tarandus) that also include wild caribou were first domesticated in the Eurasian Arctic more than 2,000 years ago. They’re still commonly raised as pack animals, as well as for their energy-rich milk. My interest in reindeer goes back to my early childhood when I first heard the song, Rudolph The Red Nosed-Reindeer sung by Gene Autry. My maiden name is Rudolph, so I felt a kinship with him.